In today’s fast-paced and digital world, it’s easy to keep abreast of events that take place around the globe. Thanks to internet technology, people can simply go online and browse websites that provide information on current events affecting society. 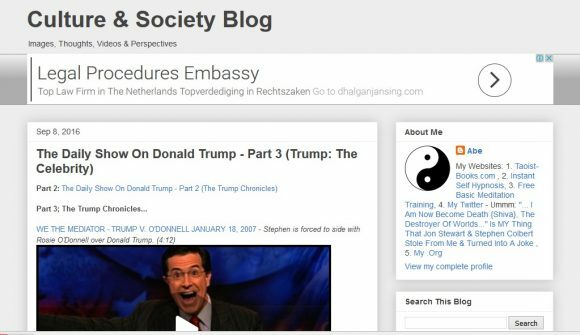 The Culture & Society blog is one site recommended for people who would like to gain insights on culture and society in general. The blog authored by Abe of Oklahoma in the U.S. shares images, thoughts, videos and perspectives. It also features videos from The Daily Show and short stories.